Cheese and wine tasting in Parma, from Bologna. Truffle hunting and tasting in Turin. Private market visit and Tuscan cooking lesson in Florence. 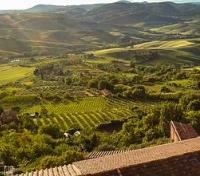 Taste world-class Brunello wines in Montalcino. Carefully selected premium accommodations throughout. Indulge in mouth watering food and wine as you taste your way through ancient cities and towns, combining exceptional Italian gastronomy with world class history. Meet your private English-speaking assistant outside of airport customs. Waiting with a sign with your name on it, they will direct you to your awaiting private transfer, and accompany you to your hotel for check-in. 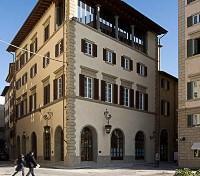 The L'orologio Hotel is conveniently located in the heart of Florence, just a short stroll away from important monuments such as the Duomo, the Basilica of Santa Maria Novella, and the Medici Chapels. The concept of the L'orologio Hotel is inspired by prestigious international Haute Horlogerie (Fine Watchmaking) and in particular, by the world of collecting vintage watches. The interior design pays an extreme attention to detail, providing a bold sensory experience to guests. Guestrooms are comfortable and full of character, and offer various city scape views. 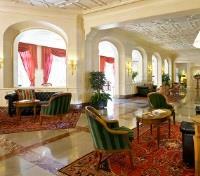 Guests can enjoy classic Italian cuisine in an warm and illuminating environment at the hotel's on-site restaurant. Meet up with a local expert at Piazza d'Azeglio for an introduction to the secrets of the production, aging, and tasting of balsamic vinegar. 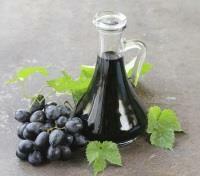 The best vinegars are produced in Emilia, and particularly Modena and its surroundings since the middle ages. Still a staple in Italian cuisine today, you will have the opportunity to enjoy a guided tasting of various types of vinegar, such as balsamic vinegar, aged balsamic vinegar, and vinegar made from Tuscan wines, accompanied by local bread and the appropriate wines. Meet your private chef, starting a half-day experience at the Sant'Ambrogio Market, where you'll select fresh and simple ingredients as you navigate through the stalls of this ancient food market, piecing together the items you'll need for your Tuscan lunch. After a short walk back to a cooking school kitchen housed in a historic building, you'll be shown how to prepare a complete meal, from a pre-determined menu of your choice. After the cooking class, lunch will be served, as you taste your creations accompanied with local wines. 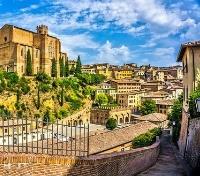 Meet your private driver and vehicle for a transfer to Montepulciano. Approximate travel time is 1 hour and 20 minutes. With pickup from your hotel, set out on a small group tour with no more than 8 participants, bringing you to a pair of wineries in the picturesque vineyards surrounding the village of Montepulciano. Soak up some fresh countryside air as you walk out in the vineyards and receive a tour of the wineries, learning about the history of each, along with the unique processes behind the tastes of the locally produced wine. Taste some of what you're hearing about, as you're treated to a wine tasting of two local products: Rosso di Montepulciano DOC, as well as Vino Nobile di Montepulciano DOCG. Conclude with a return transfer. 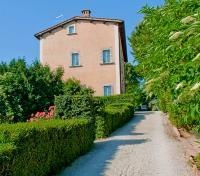 Villa Cicolina is an enchanting hideaway that was once home to a noble family of Montepulciano. Originally built in the late 16th century, secret gardens, romantic characteristics and sun-kissed hues fill every corner of this charming villa. Guestrooms feature classic style and antique furnishings, boasting fantastic views of the Tuscan countryside and onsite gardens. 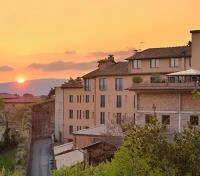 The Villa's charming onsite restaurant offers cuisine which stays true to Tuscan culinary traditions. Set between century-old olive trees and overlooking the Tuscan landscape around Montepulciano, the travertine infinity pool and the jacuzzi are the gems of Villa Cicolina. During the spring and the summer seasons, the infinity pool and the jacuzzi are open every day until sunset. 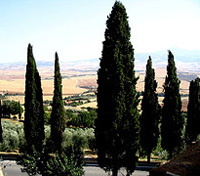 Meet your driver and guide at your hotel, setting out as a small group with 8 or fewer participants on a Tuscan tasting tour, discovering delightful gourmet foods and beverages of Montepulciano and its surrounds. 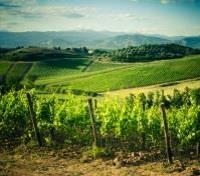 The day, dedicated to food and wine enthusiasts, will find you exploring the Val di Chiana and the Val d'Orcia. 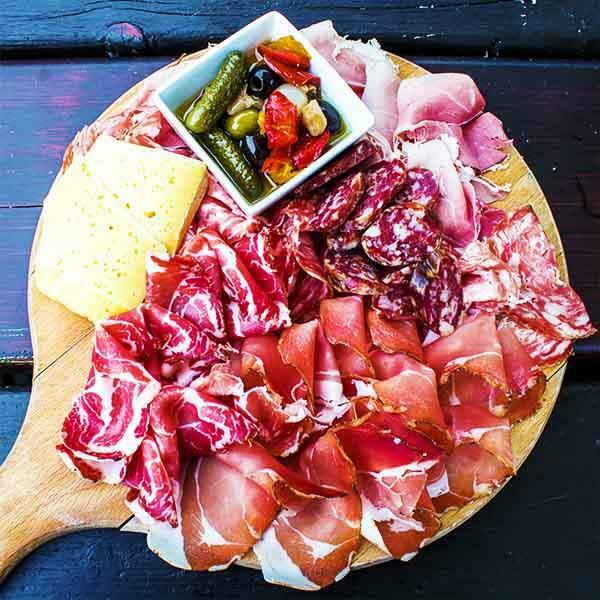 Here you'll make stops to enjoy various tastings from local artisanal producers, sampling items such as cheese, extra virgin olive oil, and typical cured meats sourced from the area. You'll also enjoy some handmade pasta, and make a visit to a wine cellar where you'll taste some of the renowned Vino Nobile di Montepulciano, produced for centuries in the vineyards surrounding Montepulciano. Conclude the tour with a transfer back to your hotel. Meet your private driver and vehicle for a transfer to Siena. 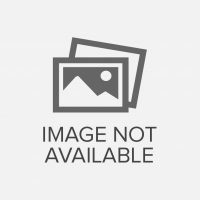 Approximate travel time is 1 hour and 15 minutes. Meet your private guide at your hotel and embark on a 3-hour walking tour around medieval Siena; a city masterfully perched atop three rising hills. Marvel at the many sites and highlights of the city including the Piazza del Campo; one of Europe's most stunning medieval squares. 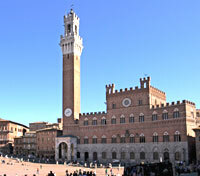 Dominating the fan-shaped square are the 13th century City Hall, Palazzo Pubblico, and the skyline-topping Torre del Mangia, a 330-foot bell tower dating back to 14th century Siena. Some other monuments at the square include the Palazzo Sansedoni, a 13th century palace comprised of five fused private homes, and the ornamental Gaia Fountain. Admire the exterior Gothic styling of the 12th century Duomo of Siena and the Battistero, both featuring a variety of painted frescoes and sculpted masterpieces created by some of Italy’s most renowned artists. Upon completion of the guided portion of this tour, you are left to enjoy some individual leisure time before returning to your accommodation independently. 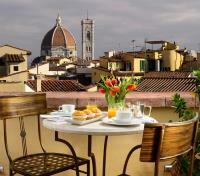 Surrounded by great ancient walls and breathtaking panoramic views of Tuscany lies Hotel Athena. 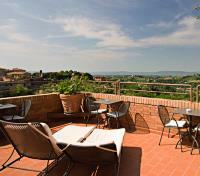 Located in the heart of Siena, Duomo and Piazza del Campo are just walking distance away. The Hotel Athena provides rooms fitted with all the comforts you require for a relaxing stay. Visit Il Mangia Restaurant to savor deliciously prepared traditional Tuscan food, all featuring natural and organic ingredients. Ideal for an appetizer at sunset, the San Marco Terrace Bar happily serves guests until late in the evening, featuring all kinds of drinks and snacks. Admire the breathtaking landscape of green hills and the ancient city walls of Siena from the panoramic terrace, a spacious yet intimate environment that is ideal for enjoying an appetizer at sunset or a drink in total relaxation. Brunello, presently considered the best wine in the world, has its ancestral roots in the passion of the inhabitants of Montalcino, and in the ancient winemaking tradition handed down from one generation to the next. Departing from central Siena as a small group of no more than 8 participants, you'll head to the town of Montalcino, a sanctuary of this wine produced from Sangiovese grapes, which stands on a charming hill, casting favor to its natural wholesomeness. Your guide will show you the town, its ancient fortress, and the best wineries - reviewed in top wine magazines. Great skill in the cellar, which includes a long maturation in casks made from valuable wood, make Brunello, holder of the title of “the Italian ambassador in the world of our winemaking reality”, the most highly regarded wine in the world. During your day, you'll taste prestigious wines from top wineries of the area, while discovering Montalcino and its wonderful surrounds. Conclude back in Siena. 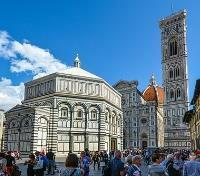 Meet your private driver and vehicle for a transfer to Florence. Approximate travel time is 1 hour and 15 minutes. Depart by train from Florence to Bologna. Approximate travel time is 40 minutes. Meet you private driver and vehicle for a train station transfer. Meet your private guide and depart on foot for a 2.5 hour gourmet-themed walking tour through beautiful Bologna, immersing yourself into the rich gastronomical culture of this historical city. From magnificent medieval markets, spectacular squares and plazas to mouth-watering cuisine, Bologna is both a feast for the eyes, and the stomach. 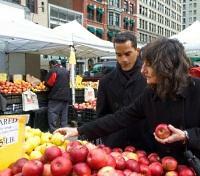 Visit the main medieval markets of the city, and make visits to some artisanal food shops. 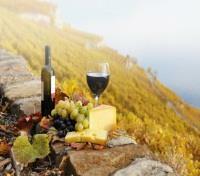 A well-rounded selection of tastings will be included over the course of your walk. 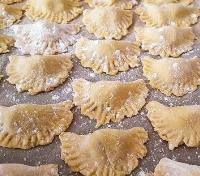 Sample some fresh handmade pasta, and delight in some cured ham, raisin sausage and Parmesan cheese served with a glass of wine. From savory to sweet, the highlight for many on this tour is a visit to a traditional chocolatier, Majani, dating back to the 18th century. Learn of the history of the shop and sample some of their delectable chocolate before your Bolognese gourmet walking tour comes to a close. Please note, tastings may be adjusted pending shop availability at time of travel. In the heart of Bologna's medieval center, the Art Hotel Commercianti offers guests a refined and high-class ambiance characterized by classic style and 17th century splendor, while contrasted with every modern comfort and amenity you'd come to expect. 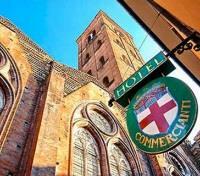 Strategically located in the heart of Piazza Maggiore and only a few steps from the splendid Basilica of San Petronio, the Art Hotel Commercianti provides an atmosphere that is typically medieval, with comfortable and welcoming rooms, perfect for a relaxing stay amidst class and style. 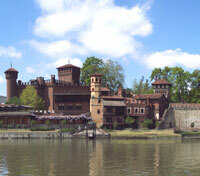 Set out for a day-long gourmet tour through the gastronomic region of Emilia-Romagna with a private driver-guide. A delight for cheese lovers, you'll first get to enjoy a visit and tasting at a traditional Parmigiano-Reggiano cheese producer, a title given to a renowned grade of Parmesan produced in only four provinces of Italy. Afterward, you'll pass through picturesque countryside to stop and catch views of the immensely photogenic Torrechiara Castle in Langhirano, a stunning 15th century hilltop masterpiece with four towers. 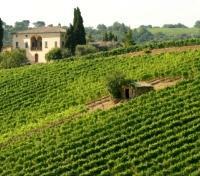 Continue with a visit to a local wine producer situated in the scenic hills of Parma. Here you'll tour the cellar, followed by a delightful lunch and wine tasting. Next you'll make a visit to a traditional Prosciutto di Parma producer, Il Salumiere, then wrap up your day in Modena, visiting an authentic Acetaia, a famous balsamic vinegar loft, for a tasting of their product. Conclude back in Bolgona. Depart by train from Bologna to Turin. Approximate travel time is 2 hours and 15 minutes. Departing on foot with your private guide, set out on a 3-hour walking tour through Turin, taking in some panoramic sightseeing of the city's classic highlights. 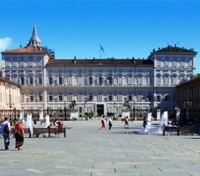 At Turin's principal square, Piazza Castello, take in views of the stunning Royal Palace, a 16th century palace recognized as one of the thirteen UNESCO World Heritage-listed Residences of the Royal House of Savoy. Starting off Piazza Castello, see the Fascist-era architecture spanning Via Roma, a stark contrast to the 16th and 17th century influence of House Savoy, which radiates throughout the city. 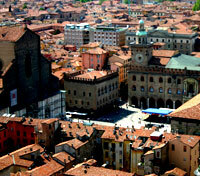 Just behind Piazza Castello, spot the 15th century Turin Cathedral with its 130-foot bell tower. An annexed chapel is where the renowned Shroud of Turin is held. Nearby you can see the Palatine Towers, an ancient Roman city gate that formed part of the city walls that used to envelope the historic center. Be sure to keep your eye out for glimpses of the Mole Antonelliana's staggering 550-foot pinnacle, the highest point in Turin's skyline, which can be seen towering over the surrounding city center buildings. 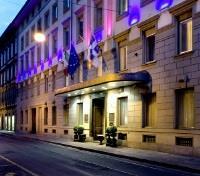 Located in the heart of Risorgimento Turin, just off the very central via Roma and Piazza San Carlo, and a few minutes’ walk from Piazza Castello, the Grand Hotel Sitea charms guests with its discretion and reserve. The hotel was built in the early 1900s and featuring a traditional brand of hospitality, the hotel is superbly positioned for those who want to be able to get about the city centre on foot, to visit the heart of the old town or for shopping. Grand hotel Sitea consists of 120 rooms, all of them elegantly furnished to recall the mood of the period when the hotel was built in early 20th century. Hotel’s atmospheres, really refined in every detail, make it a reference point for its high-profile hospitality, while its exclusive cuisine and the attentive service make the Grand Hotel Restaurant an appreciated gourmet stop. Meet your private driver and set out through the Piedmont region toward the hills of Asti today, where you'll embark on a private guided foray into the exciting world of truffle hunting - a highly secretive industry where protection of one's bounty is of utmost importance. Meet a professional trifulao (truffle hunter) and follow him and his dog out into the natural truffle grounds where you can experience a private truffle picking and hunt along a scenic wooded trail. 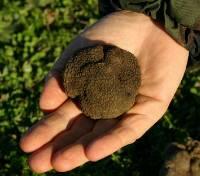 Search for black truffles from February to September, and white truffles mid-September through January. Learn about the local traditions, the growth environment, and gain an understanding of the varieties and characteristics of different truffles. You'll even get to try fresh truffle shavings on a local cheese with some salami and wine. After, discover the historic town of Asti and its pleasant medieval atmosphere, strolling past stone towers, Gothic churches, baroque buildings and old squares in the ancient city center. Round out your day with a visit and wine tasting at a nearby winery, a local producer of Barbera d'Asti, a fine violet-red colored wine, considered the third great "B" of Piedmont, along with Barolo and Barbaresco.